anna’s birthday is around the corner. wednesday to be exact. but, her grandparents will be out of town. and the middle of the week is tough. so, we had a little party time for her on sunday night. last night. 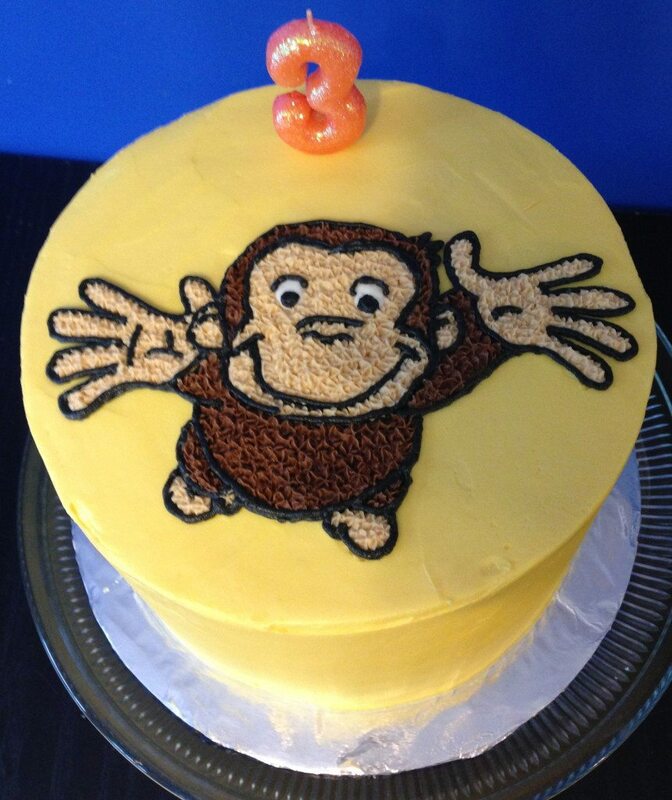 when it was time to frost, her cake of the hour was curious george, so i went with it. i didn’t have much time, so i picked an easy picture. 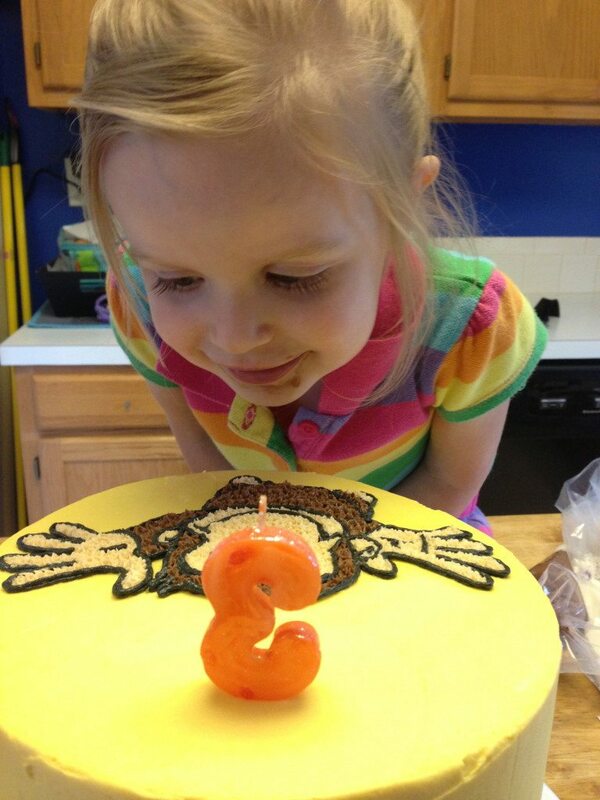 my own kids so often get the cake decorating shaft. she was happy with it, though. so that’s all that matters. 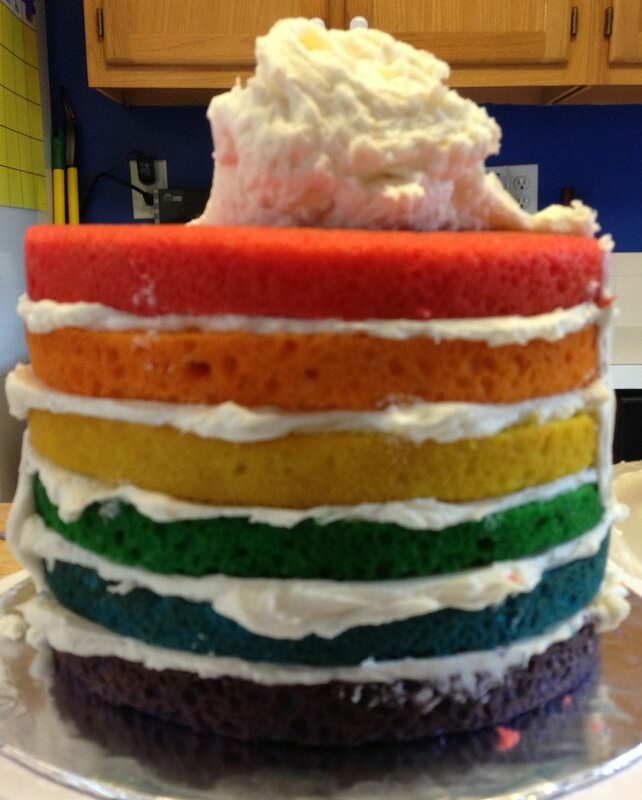 and… finally… a picture of the rainbow-y insides. 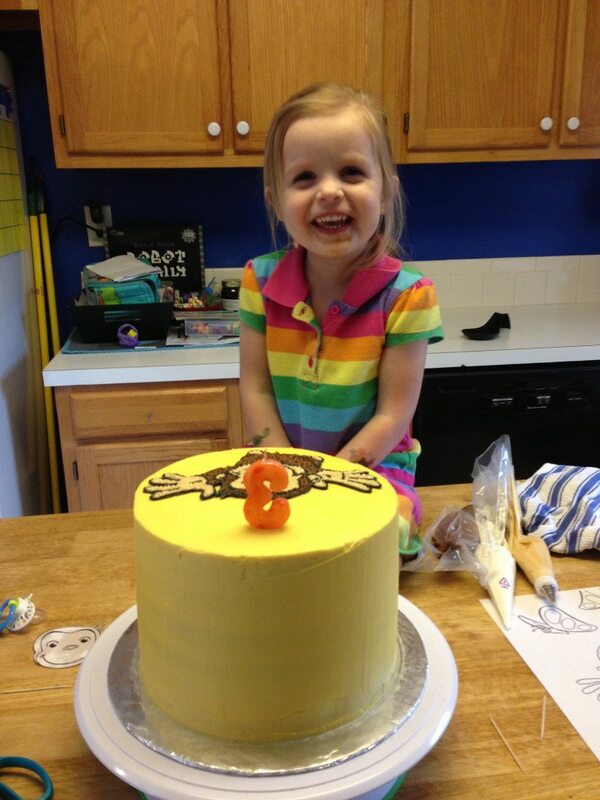 That smile is so sweet, and that cake looks delightful! 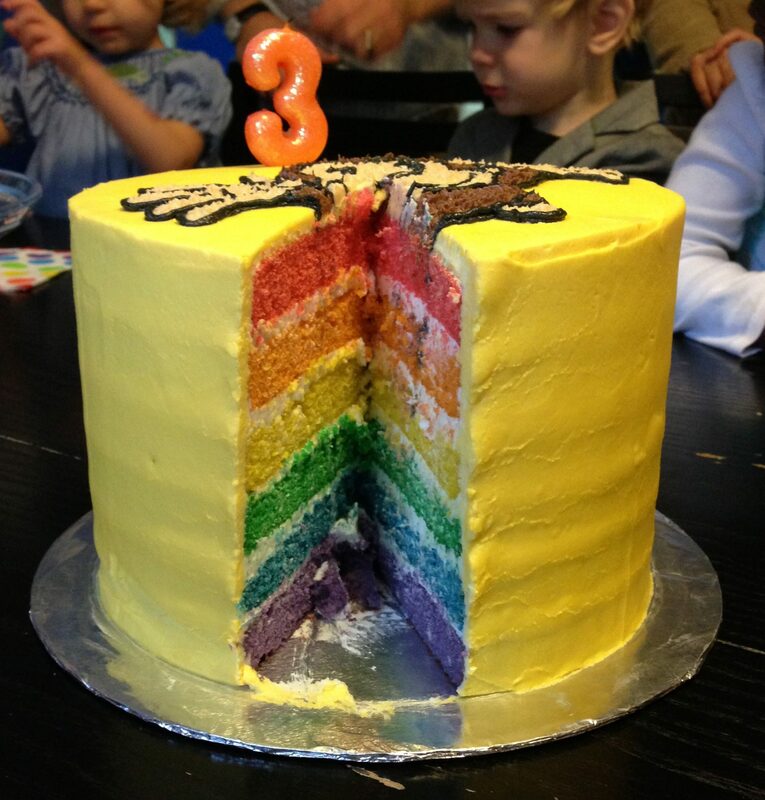 That cake was sooo delicious. Thanks for the leftovers!